East of England Ambulance Service (EEAST) provides accident and emergency services to those requiring emergency medical treatment and transport across Bedfordshire, Hertfordshire, Essex, Norfolk, Suffolk and Cambridgeshire. The service supports nearly 6 million people and in recent years have received 1 million emergency calls a year. With 130 sites covering 7,500 square miles, EEAST had a lack of visibility of their IT estate partly caused by the mergers of three different ambulance services. EEAST were already using Microsoft SCCM for inventory, but there was an internal debate whether they could trust the information it presented for managing licensing, especially with the organization supporting networked and remote systems, widely distributed across a large geographical area. With many of its staff mobile, EEAST were unable to track and monitor the different devices in use across the business without time-consuming manual processes. This restricted insight meant the organization did not know exactly what assets they had, which put them at risk of non-compliance. To overcome this, the decision was made to implement a single, automated and centralized solution which could provide end-to-end coverage of the entire IT estate, covering hardware, software and licensing. An internal recommendation, due to their previous experience using the tool, led East of England Ambulance Service to Certero based on the key functionality of the solution, including: discovery & inventory, advanced reporting and licensing management. Fitting the specifications required by the customer, Certero for Enterprise SAM was selected to ensure compliance and acquire complete visibility of the IT estate. Implemented in phases, East of England Ambulance Service had complete coverage of Certero for Enterprise SAM in a matter of weeks. Working alongside Microsoft SCCM, the organization is able to benefit from complete coverage across all 130 sites, mobile staff and devices. 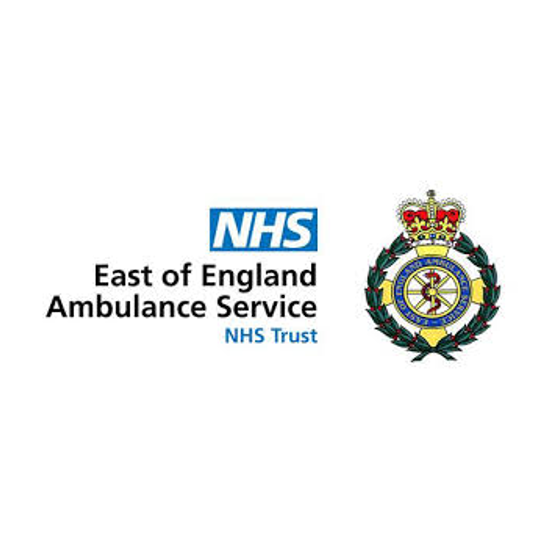 With remote Toughbooks in ambulances accessing the network via a SIM card, East of England Ambulance Service now benefits from having a complete view of its hardware and software across all remote areas. For complete and accurate visibility while still keeping the emergency response system separate, Certero implemented an endpoint server to provide an inventory of the network, PCs and servers within this system, which feeds this information into Certero for Enterprise SAM without requiring integration with the critical emergency response systems. The solution enables East of England Ambulance Service to see all equipment across the organization and successfully check up-to-date versions of software and licenses. This prevents East of England Ambulance Service from being at risk of non-compliance, a previous challenge the organization faced. The centralized view within Certero for Enterprise SAM provides support teams the functionality they need to address support issues easily and quickly. The solution enables these teams to conduct simple IT management, such as tracking browsers, and improves efficiencies by only requiring an asset tag, tracked in Certero for Enterprise SAM, to find the information on a user’s system. “With previous experience of using Certero for Enterprise SAM, I knew first-hand how effective the solution would be in meeting our requirements. The tool has truly transformed how we work, making life a lot easier with complete visibility of assets and automation removing the need for manual intervention. Not only does the centralized view ensure compliance, it also enables us to successfully navigate vendor audits.